People love investing in gold. It’s tangible, and it’s been considered “pure” money for millennia. But you still need to tread carefully. Anytime you invest in anything, it’s important to do your homework. You should understand the investment works, and some of the fundamental forces that influence it. And you should avoid the hype. No matter how “solid” something seems, be aware that any investment is influenced by perception and market forces. This includes gold. Hedge against inflation: Since gold is denominated in dollars, it often (but not always) moves inversely to the U.S. dollar. This means that it can be used to hedge against inflation. As the buying power of the dollar diminishes, gold’s value increases. Safe haven: Gold is also used as a safe haven investment. During times of economic turmoil, gold is considered to be safety. You can touch it, and hold it. And, recently, gold has become a favorite of those who wish to hold some sort of tangible money; they expect that it will be the only thing of value in the event of a complete economic collapse. Hoarding gold coins and other forms of gold — and other precious metals — has grown in popularity. However, it’s important to note that perception does matter. Gold prices are affected by market forces, and the markets are impacted by the way people perceive the way things are going. Recent events, and fears, have driven the price of gold quite high, and some even think that gold might be in bubble. And that’s something you have to consider. Just because gold is, well, gold, doesn’t mean that it is immune to bubbles. Just like any investment, you need to be aware of the possibility of a burst bubble. Another consideration is what form you will purchase it in — and how you will store it. If you are investing in gold stocks, you are really just investing in another equity that can be treated like any other stock. You’ll want to use smart asset allocation, and to review your holdings regularly in order to make sure your portfolio is on track. However, there are other ways to invest in gold. And many of them require you to figure out some way to store it. Investing in gold ETFs can reduce the need to figure out what to do with your hoard. If you are investing in physical gold, though, you will need to figure out where you will keep it. Will you keep it on site? Or will you pay for someone to store it? If you are investing in physical gold because you are worried about what’s next for the economy, it makes sense to have it close to hand. It won’t help you much if the economy collapses and you have to try to get your gold from some vault 1,000 miles away. Of course, if you store it at your home, you will need to make sure that you are careful, since you don’t want to become a target for thieves. Before you start buying up gold bullion or coins, make sure you think through the situation, and plan for it. 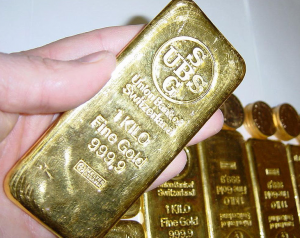 Finally, if you are using gold as an investment that you hope will result in capital gains when you sell, you need to be aware of the tax implications of physical gold. Most gold is taxed at the collectibles capital gains rate, which is 28%. Gold stocks are treated like any other stock investment, but ETFs are treated as collectibles when you sell. Certificate gold, electronic gold, coins, wafers, and bullion are all treated as collectibles for tax purposes. The main exception to physical gold as a collectible is jewelry. You don’t have to pay taxes when you sell your gold jewelry — even if you end up with a gain. Knowing the tax implications of your investments is smart, since it can help you with your tax planning down the road, and you can make better decisions. Gold can make a positive addition to your investment portfolio. As part of a well-thought-out asset allocation strategy, gold can provide a degree of safety and maybe even growth. So you do need to be careful. Consider your investment goals, and examine why you want to invest in gold. Also consider the tax implications, and some of the complications that can come with owning and storing physical gold. Don’t assume that, just because you’re investing in gold, you’re totally set.